Idris Elba hit the carpet at the National Film Awards with his fiancee Sabrina Dhowre to make a bold statement. It was work night and date night as the YBF actor brought his soon-to-be-wife with him to accept the Best Director trophy he nabbed for his work on Yardie. Wifey rocked a winter white Roland Mouret dress paired with Z O L A B L V D heels. Meanwhile, the British hottie raised awareness to the senseless knife-related violence that has been wrecking havoc in London. 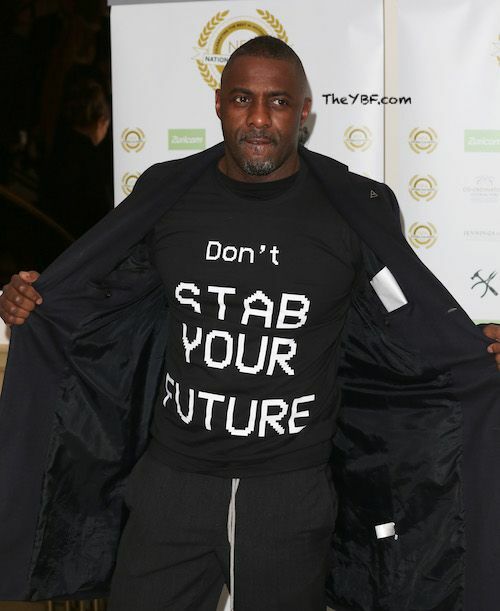 His shirt reads "Don't Stab Your Future" and it's the same phrase he used when he made his plea to fans about the knife-violence issue in an Instagram video last month. In part, the "Turn Up Charlie" actor said, "Knife crime is not new. I grew up in the ’80s and there was knife crime back then, between blacks and whites, and now it’s definitely between young black men in small, tiny communities, and it’s affecting everyone." Idris is now selling his t-shirts and sweatshirts to the masses and all of the proceeds will go to Faron Alex Paul, a father who was stabbed 18 times and is now advocating to prevent knife and gun violence. AVAILABLE NOW! #dontstabyourfutue tshirts and sweatshirts now available on @2HRSET Knife crime is now an epidemic and needs to stop! #dontstabyourfuture - put the knives down! All proceeds go towards supporting the work of @faronalexpaul #fazamnesty Link in bio. 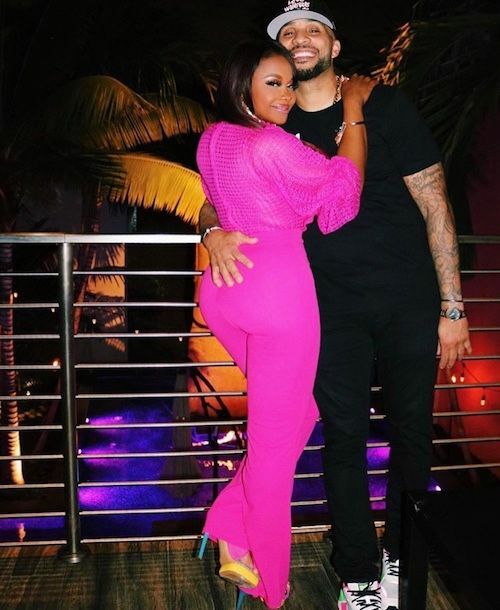 Phaedra Parks and her boo Tone Kapone appear to be serious serious. 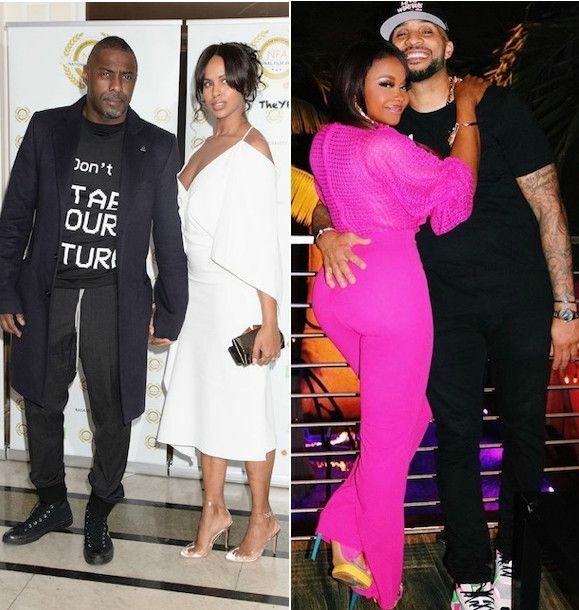 The former "Real Housewives of Atlanta" star has been gushing over her new BAE for a while now on Instagram and we all know it's official official when folks start posting up coupledom pics on their social media accounts. 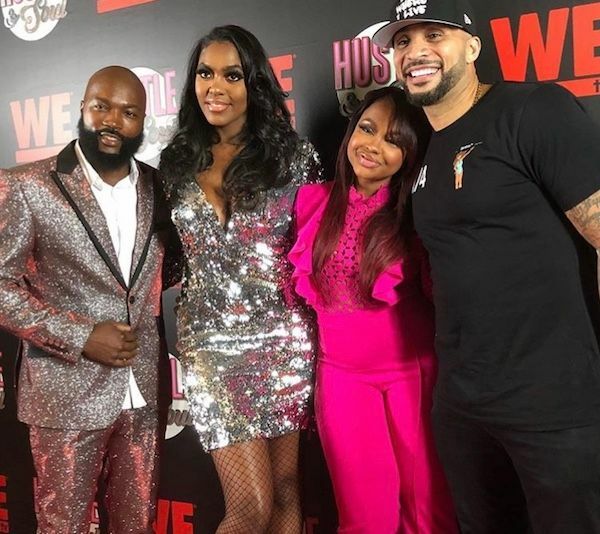 The lovebirds couldn't keep their hands off one another at TV One's "Hustle & Soul" season premiere, which was held at the Pink Teacup Villa in Miami. While snapping flicks together, Tone was all about that cake action, an asset Phaedra loves to brag about. We can't lie. They look together. Phaedra (above with lead chef Lawrence Page) def has a type. 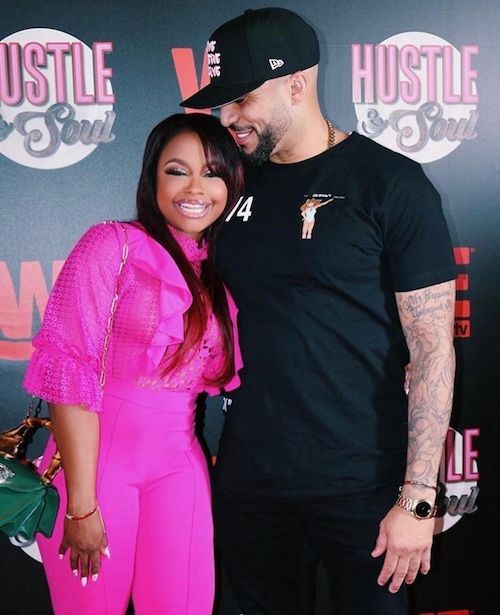 Speaking of, her ex-husband Apollo Nida (who's engaged) recently got some time taken off his prison sentence, so he'll be home sooner than later. Get those deets HERE. 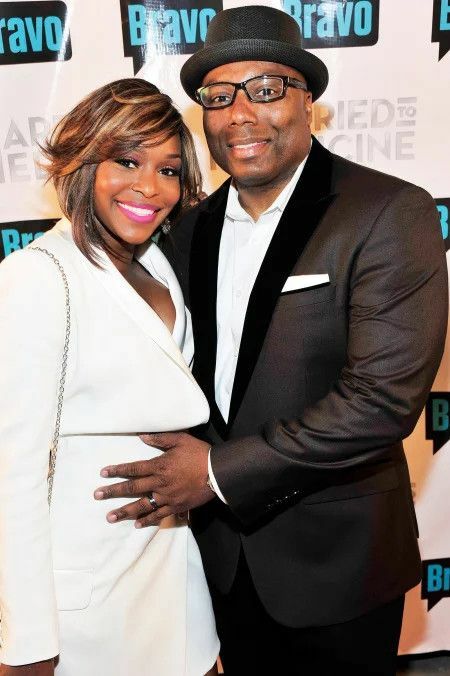 "Married To Medicine" star Quad Webb-Lunceford is tired of the drama with Dr. G and is ready to get the ball rolling on their pending divorce. She wants a judge to step in to make it happen. Apparently, Dr. Lunceford if dragging his feet with the paperwork, prolonging their uncoupling in court. Quad pulled the plug on their marriage in May 2018 after they were married for six years. While chatting it up with Andy Cohen on "Watch What Happens Live," she explained that "there were a number" of reasons why she decided to call it quits. "I wish that I probably could have really set the tone a little differently," she revealed. "I think for me, I was trying to be everything, and eventually that wore on me, and in a sense, it made me resent him a bit." Looks like she's trying to get this squared away before May 2019. Good luck. Will he keep his 'lil car he loves to screech off in? NEXT: Adorable New Family Portrait Of Blue Ivy, Sir & Rumi Carter Is Blowing Up On Social Media, And The Beyhive Is PISSED!